Will I need to line my chimney? When installing a multi-fuel stove, it is always best to get your chimney inspected prior to fitting to check the condition of your chimney. To install without a liner, your chimney should be at least 4.5 metres and in Class 1 brick condition with no holes where smoke could escape. If advised by an expert to install a liner to provide a better draw and to ensure no smoke leakage, it is always best to install a 316 or 904 grade flexible flue liner. What fuels can I burn on my stove? 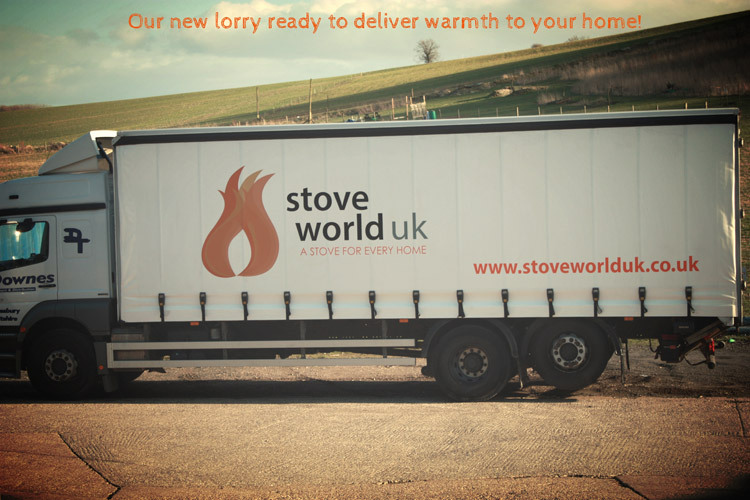 All of the Coseyfire and Zona stoves are multi-fuel stoves fitted with multi-fuel grates so a wide range of fuels can be burnt such as dry seasoned wood, smokeless coals and wood briquettes. It is very important that your wood is seasoned as burning wet wood can cause your stove to perform poorly and inefficiently. It will make the glass on your stove darken, cause tar build up in the chimney which could cause a chimney liner to cork if one is installed and prevent the stove from providing its full kilowatt output. It is best to have your chimney swept at least once a year but can be done more frequently if you notice changes in the draw from your chimney. 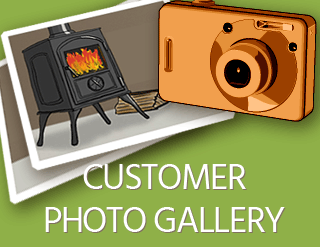 It is always best to contact a registered chimney sweep to maintain your chimney. Does my stove need any ventilation? If you are installing a stove rated over 5 kilowatts, you are will need to install a permanent air brick into the room. 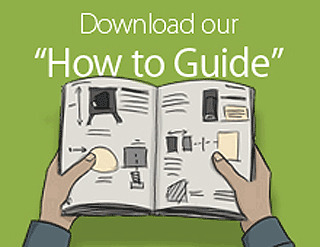 A stove rated up to 5 kilowatts will only require sufficient room ventilation. 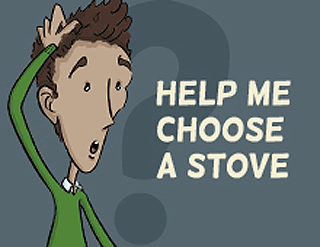 Do I have to install a stove into an existing chimney breast? 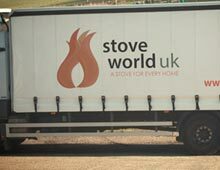 A stove can be fitted as a free standing unit in a room using a twin wall flue system to take the flue pipe out through an external wall or roof. It will need to sit on a hearth and have the required clearances around the stove. All details on clearances can be found in Document J of the Building Regulations. Are there any parts in my stove that will need replacing over time? 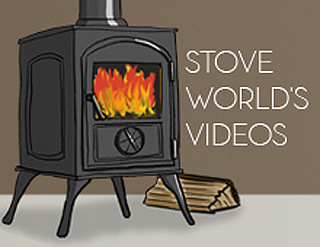 A stove has certain parts that will need maintaining and replacing over time due to wear and tear. The fire grate, firebricks (Vermiculite or cast iron) and throat plate can warp after a while as they are doing their job protecting the outer skin of the stove and can be replaced very easily if need be. Why does my stove smell when lit? This smell is the paint curing on the stove. This is a common and perfectly normal thing to happen with a brand new multi-fuel stove. It can be quite a strong smell and can look quite hazy but this is not to be mistaken with smoke. We recommend you open a window when first lighting the stove, and don’t worry because it will only last 2-3 burns. Why won’t the door open? The door seals are very tight when manufactured to ensure that the stove will work efficiently. If the door seems to be stuck, you need to open it gently with applied force to ensure you don’t break the handle or ruin the fire rope seal. Should the fire rope become loose, just push it back into the channel and leave the door on the catch for the next burn to ensure that this doesn’t happen again. Why won’t the vents open? The vents are machine tightened in the factory so can be quite stiff upon first use. If these appear not to open, you need to loosen them. Using grips and a cloth so as not to scratch the knob, loosen it off slightly. It should then be much easier to operate the vents.